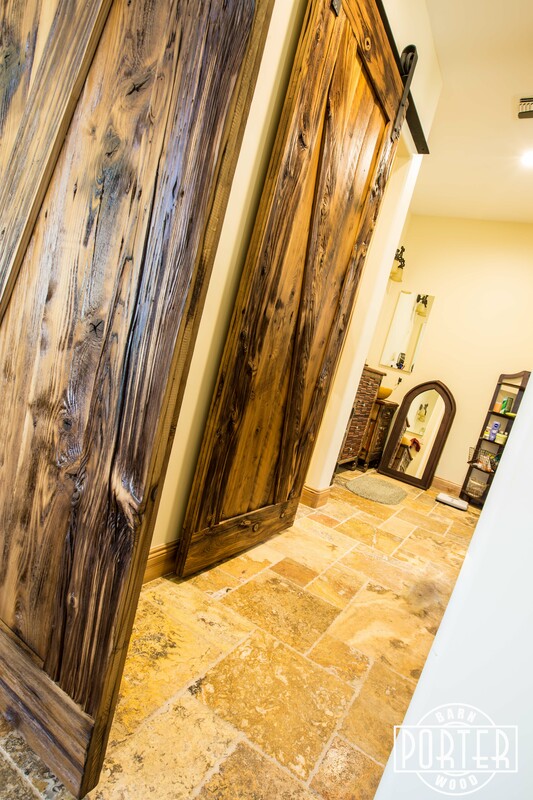 Here is one of our Mushroom Wood Z style doors. 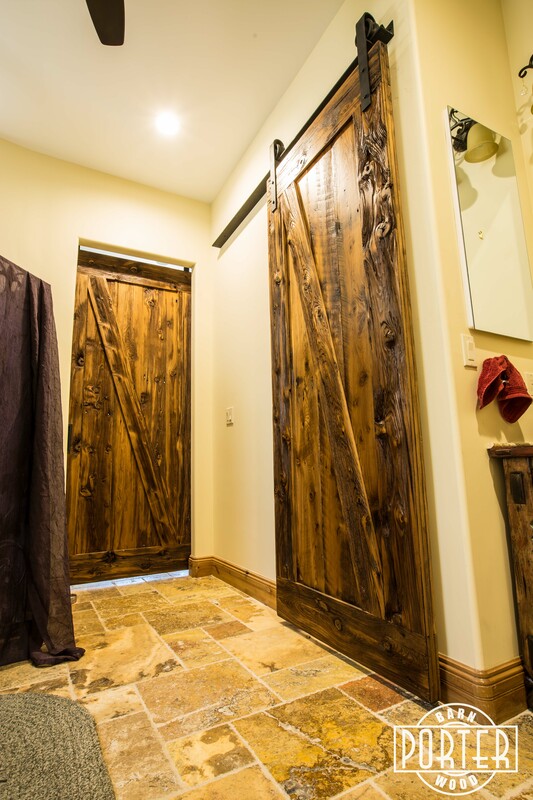 The wood in this project was skip planed, brushed, sanded, and lacquered to give it the more refined appearance but retain the mushroom wood look. 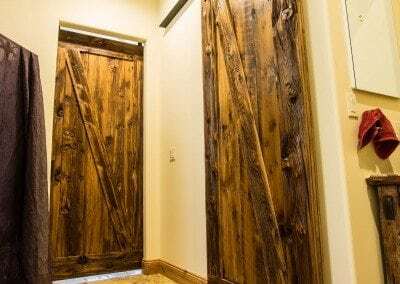 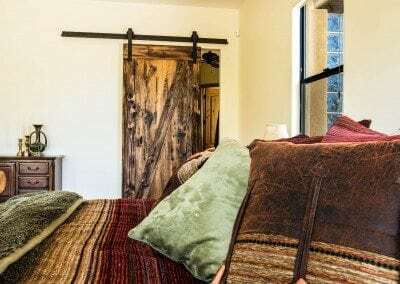 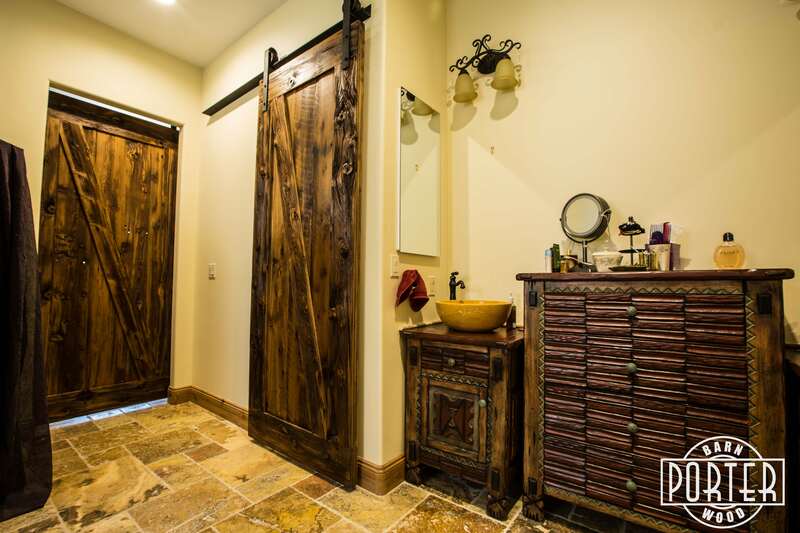 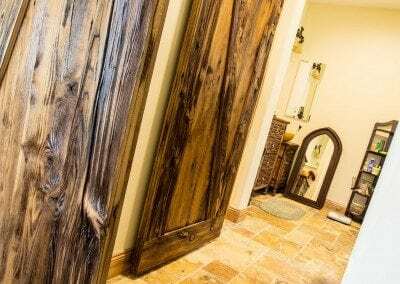 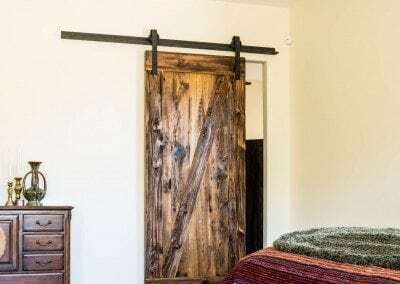 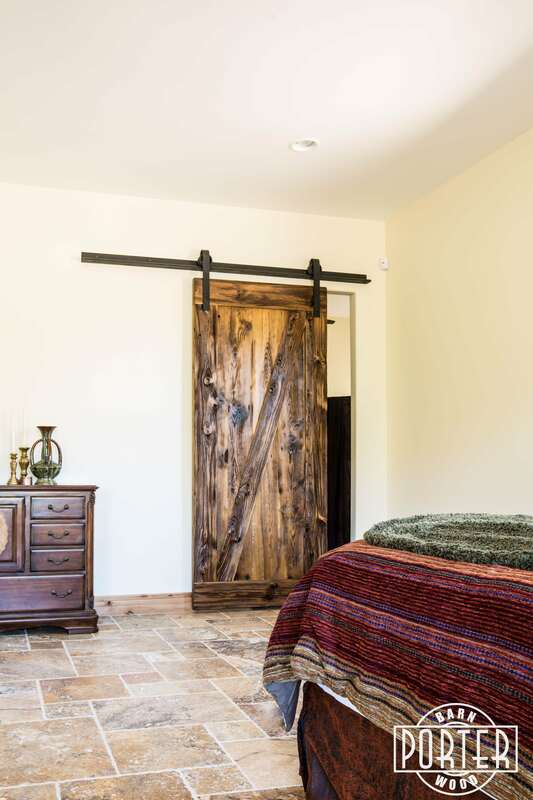 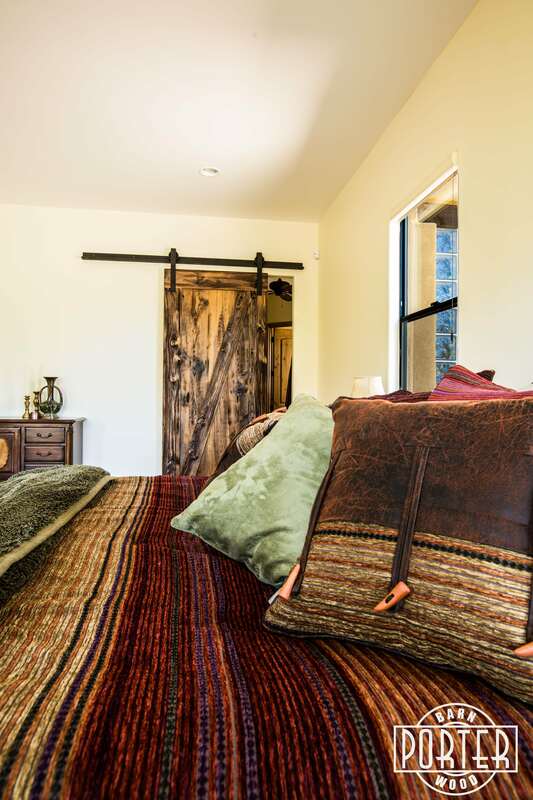 It utilizes our standard 4″ barn door hardware.